Traditional advertising may not be dead but it's clearly declining, and the next few years could prove fatal. Research from the Newspaper Association of America paints a bleak picture: the estimated revenues of $21 billion in 2011 were the lowest in 60 years, and were less than half of the $46 billion spent just four years ago in 2007. 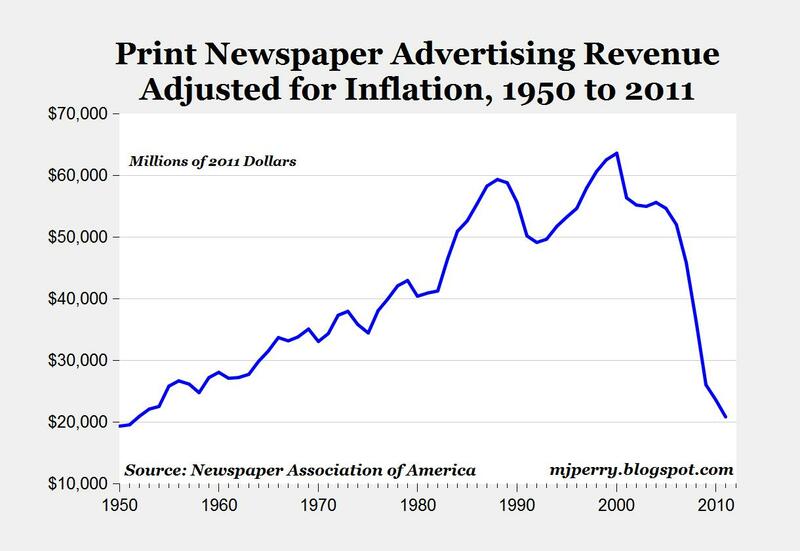 Since the late 1990's, print newspaper ad revenues have fallen by two-thirds. The prognosis for digital? Much brighter - industry analyst Forrester expects online advertising to reach a healthy $77 billion by 2016, and later this year, online advertising is expected to surpass print for the first time ever. Published on March 2, 2012 .